How much typing do you do on your smartphone? All those instant messages, search requests and snarky social media comments can quickly add up to a whole load of text input, every single day. Speeding up that input can make a big difference to how much time you spend glued to the screen, so here’s everything that can help. You might just accept autocorrect and predictive text as they are, flaws and all, but you don’t have to settle for the default configurations on Android or iOS — delve a little deeper and you can customise them to suit your own typing style, keeping the smart features you find helpful and ditching the rest. On (stock) Android, you want to open up Settings then tap System, Languages & input, Virtual keyboard, Gboard, then Text correction. 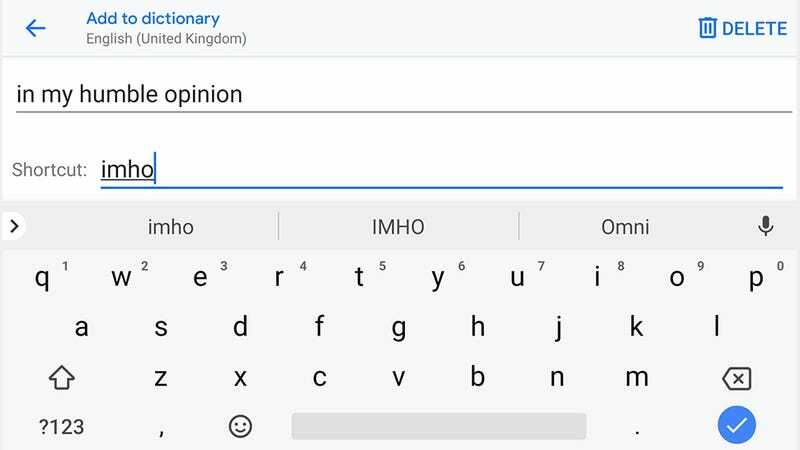 From this screen you can enable or disable autocorrect, the predictive text suggestion strip at the top of the keyboard, auto-spacing after punctuation, and auto-capitalisation after periods. You can also enable Personalised suggestions — which uses your typing and text input across all Google’s services to make predictive text smarter — and Next-word suggestions, where the sentence is taken as a whole to improve the quality of predictions. These options should improve the accuracy of your text input in most cases. 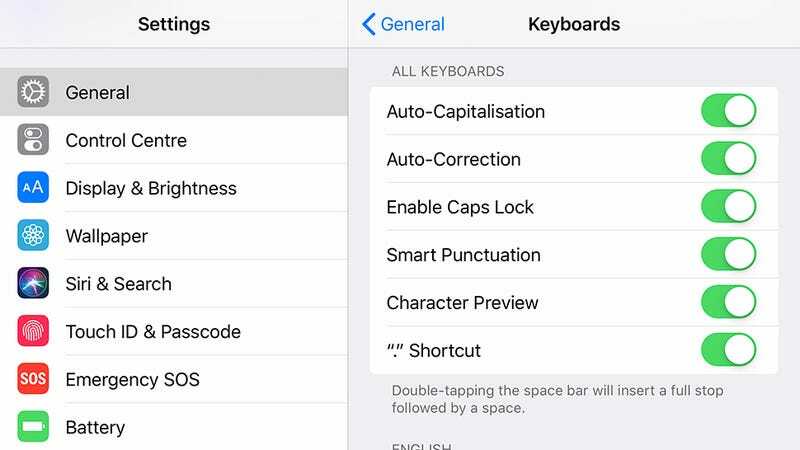 Over on iOS, you can make changes to the default autocorrect behaviour by opening up the Settings app then choosing General and Keyboard. You don’t get as many options as you do with Android, but you can turn auto-capitalisation on or off, as well as enabling or disabling the shortcut that lets you double-tap Space to drop in period at the end of a sentence and start a new one. 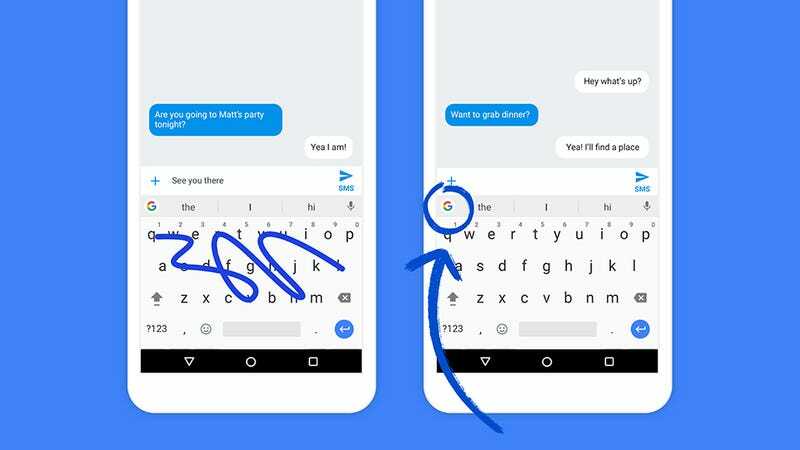 If you’re an Android user on the default Gboard keyboard, for example, long-press on the comma then slide to the right-hand icon to enable one-handed mode — making it much easier to type on one hand. Hit the arrow to change between left and right handedness, or the expand button to go back to normal. From Settings, choose System, Languages & input, Virtual keyboard, Gboard, and Preferences to make more changes: you can change the keyboard height to make it easier to tap on, as well as change the way you access emojis and symbols (you might find it quicker to long-press for symbols rather than switch keyboard layouts). Choose Glide typing instead of Preferences on the Gboard menu and you can switch on glide typing, where you can slide your finger along the keyboard without lifting it up from the screen — based on your starting and stopping, the keyboard should be able to work out what you’re trying to type, and you might find it a faster input method. For example, you might input the text phrase “in my humble opinion” and then use the text shortcut “imho” to refer to it. The next time you type “imho” into the Gboard keyboard in any app, you’ll see “in my humble opinion” appear as a suggestion — just tap on it to enter the full phrase. 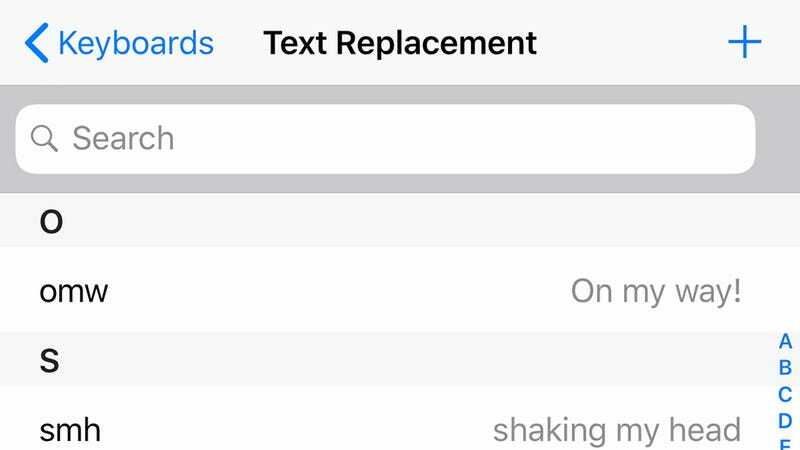 Over on iOS, the same sort of trick can be achieved by opening up Settings and then tapping General, Keyboard, and Text Replacement. Apple provides two examples that you can check and edit, and then to make your own, tap on the Plus icon to the top right. Enter your phrase and your shortcut and you’re done — again, the shortcuts appear as options in predictive text. Whatever platform of phone you’re on, you can set up as many shortcuts as you like, though if you start adding hundreds then the keyboard suggestions bar can get a little crowded. Make a note of the phrases you type a lot and put together some shortcuts to save yourself some time. This trick also works if you want to use ASCII emoticons. So “shrug” can become ¯_(ツ)_/¯ and “glare” can become ಠ_ಠ. 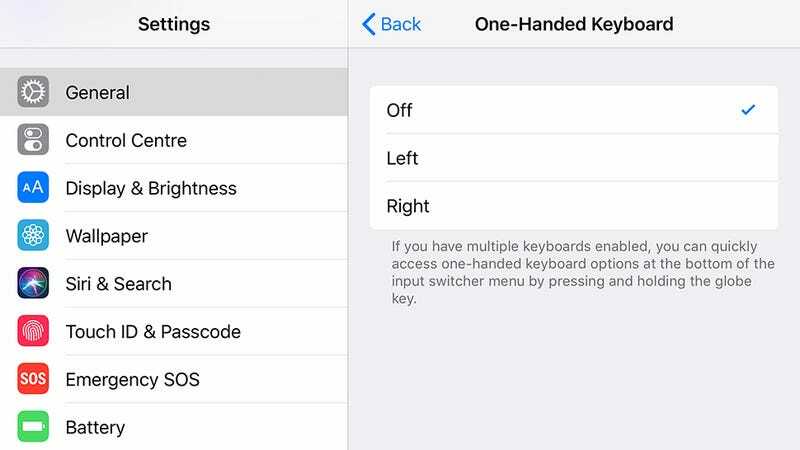 Both Android and iOS support third-party keyboards, so you don’t have to accept the default one you’re given if you don’t want to — you might find you can type quicker on an alternative one. 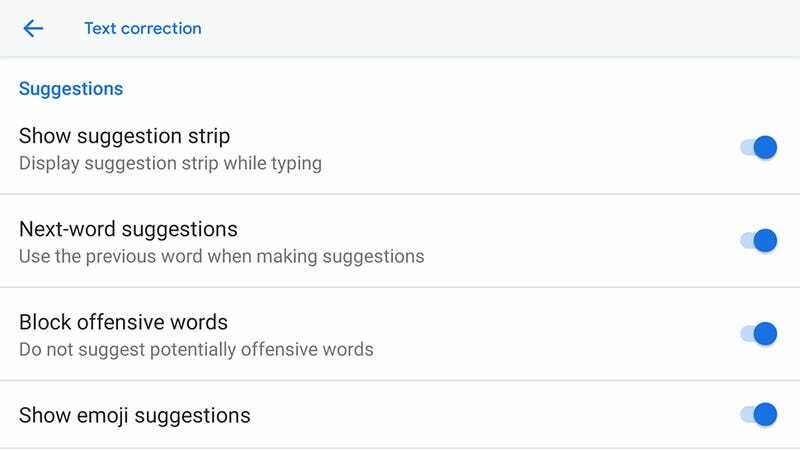 Gboard, for example, is available on both Android and iOS, so you can take advantage of the next-word suggestions, the glide typing, and the other features no matter what your make of phone. 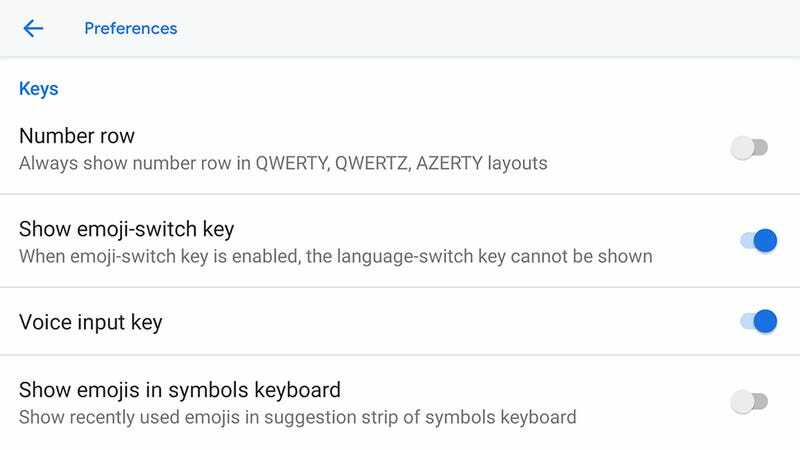 SwiftKey (Android, iOS) has long been one of the best alternative keyboards out there if you want to speed up your typing: It uses some AI trickery to work out your particular typing habits and favourite words choices, right down to when you like adding in emoji. That means its predictive text is smarter, and that means you can tap through whatever it is you’re trying to say more quickly. 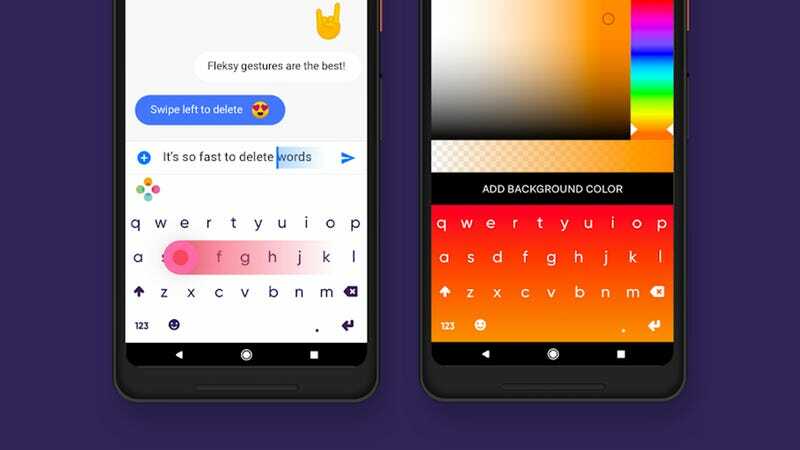 We also recommend giving Fleksy (Android, iOS) a whirl —here you can take advantage of keyboard customisation, to get a layout that particularly suits your digits, and gesture controls, so you can remove a word or phrase with a single swipe of the finger. It has a tonne of additional features too, including GIF support, but not all of them are necessarily focused on improving your typing speed.